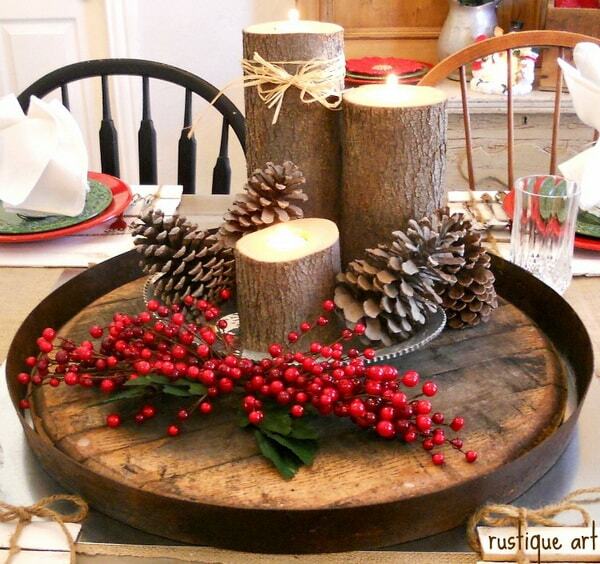 It’s only a few weeks till Christmas, so why not reuse some of the stuff we already have? For example, things we picked up from the countryside, such as pine cones, twigs, etc. and use them to make a beautiful centerpiece; add a touch of red and some candles and you´ll have a spectacular table centerpiece.